MiShel Designs: Welcome to the Fall Business Women Online Expo! Welcome to the Fall Business Women Online Expo! I'm excited to be a part of the 1st Annual Fall Business Women Online Expo this weekend where we're showcasing our businesses with shameless self-promotion, learning about each other (networking) and having fun with contests, give-a-ways (or whatever we want) to entice folks to stop on by and check us out! What fun! For starters, let's get down to the good stuff: the GIVE-A-WAYS I'm having! 1. 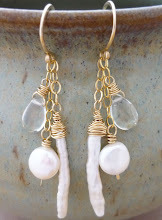 Be one of the first 3 folks to leave a comment at the bottom of this post telling us what you like most about our blog and/or website (www.MiShelDesigns.com) along with your name and email (so I can privately get your mailing info) and you will win a pair of our "Herringbone Weave Pearl Drop Earrings". 2. 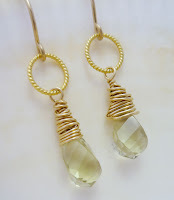 The first 3 people to become our friend/fan on our MiShel Designs fanpage on Facebook on Saturday, September 26th, will win a pair of our 14K GF Faceted Lemon Quartz Drop Earrings. Log onto facebook and go to our MiShelDesigns.com page, became a fan and then send us a private message with your email so I can get your mailing info to send you your pretty pair of earrings! Okay - is that easy or what?!! Now, for our juicy detials. And, since most of you are surfing the net w/little time to spare - we'll keep this short (no pun towards myself taken!!) and sweet. The "We" behind MiShel Designs is me, myslef and I - with lots of love, support (and purchases) from my family, friends and return customers! I'm Michelle Buettner and I love to laugh, have a quirky sense of humor, twirl my hair constantly (when I don't have jewlery tools in my hands! ), would stop breathing if I couldn't create jewelry and I consider myself one of the luckiest people on the planet! I hold a Graduate Pearls Diploma from the Gemological Institute of America (GIA) and I love to drool over pearls, gemstones and all things jewelry. My jewelry, even though somewhat trendy, tends to be classic in design and taste and can be worn season after season. Okay - there you have it. Have fun checking out all the fabulous designers who are participating in the 1st Annual Fall Business Women Online Expo - and please, please share their info w/your friends. We all love handmade items and it feels great supporting those who are passionate enough to put their creativity out in the world for everyone to enjoy! 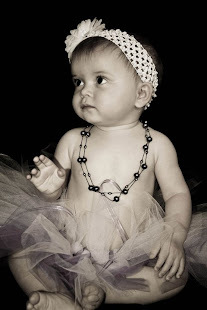 Peace, Love and Pearls Baby!! 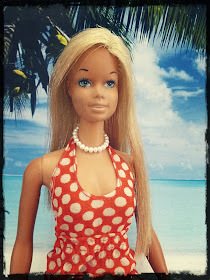 i love pearls, and i love your creativity and i couldn't resist posting a comment even if you won't send me the pearls because i live so far away. I'm going to check on your other blogs to appreciate your work more. Denise, thanks for stopping by my blog!! You're my 2nd winnder of a pair of my herringbone weave pearl earrings - I'll be emailing you soon! Oh Yummm. Love those earring, Nice Work! I browsed you website and Etsy store I love the soft simple designs. The wired wrap hoops are very cool as well. Glad I found your shop. Thanks so much! You're the 3rd person to comment here on my blog so you win the last pair of Herringbone wire wrapped pearl earrings. Send me your mailing info to shel@asicj.com or post a message on my facebook page and I'll get them in the mail to you this week! Thanks for checking out our blog and our store! Millie - you won, too - it just posted differently in my email so I'm not gonna leave you out!! Email me at shel@asicj.com and you'll get a free pair of my herringbone weave earrings, too! Woohoo! I love earrings!! Thanks! Enjoy the pearls of fun at the GNO and please stop by my booth (number 25) if you've got the time. I enjoyed my visit to your booth! I hope you're having a successful Expo! Hi vendor neighbor, I loved your post!!!! And, I'm looking forward to looking around at some more stuff. I dabble in making earrings so I love looking and appreciating other peoples creations. I've been in love with stones and their designs for years, aren't they cool? MiShel, thanks for participating in the Expo this weekend, your post was wonderful!! I really enjoyed learning about you and your business and your jewelry is beautiful!! I love your ring that's not wearable..how very very pretty! Looking forward to following you and learning more! Fellow vendor popping in from GNO (Booth #14) Your jewelry is beautiful. Love jewelry, love your stuff. Loved learning about your business, and so glad I found you! Hope you had a great weekend! Hey, I received my earrings yesterday, love them! Really nice wirework! Thank you very much! Hi Shel! I received my earrings yesterday, thanks so much, they are so lovely! Couldn't believe i'll actually receive a free gift all the way from Arizona. woohooo ... i've been showing them off to my family and friends.